The CBS board of directors is in the process of picking outside counsel to conduct an investigation after company CEO Les Moonves was accused of sexual misconduct. In a statement, CBS said that "no other action" was taken on the matter at Monday's board meeting. The meeting was scheduled before a bombshell report in The New Yorker Friday detailed allegations against the CEO. Six women told the magazine that Moonves sexually harassed them. In a statement to The New Yorker that was also obtained by CNNMoney on Friday, Moonves said he has "promoted a culture of respect and opportunity for all employees" throughout his tenure at CBS. 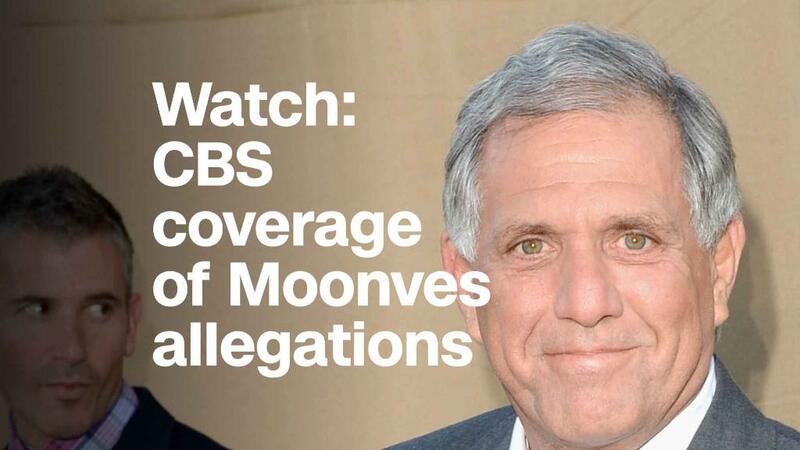 The idea that Moonves should step aside during the probe was raised by at least some board members this weekend, according to one source who spoke to CNNMoney on Sunday. The board also said on Monday that it would postpone its annual meeting of stockholders, which was scheduled to be held August 10. A new date has not yet been announced. It was not clear why the board decided to reschedule that meeting. — CNNMoney's Dylan Byers contributed to this report.